Department of Pharmaceutics 1, Smt. S. M. Shah Pharmacy College, Ahmedabad-Mahemdabad Highway, Ahmedabad - 387130, Gujarat, India. S. K. Patel College of Pharmaceutical Education and Research 2, Ganpat University, Ganpat Vidyanagar Mehsana-Gozaria Highway, Mehsana - 384012, Gujarat, India. ABSTRACT: To avoid problems of conventional therapy of drug delivery and reduced dose, sustained release matrix tablet of Bosentan was prepared using lipid base material as matrices. Primary screening of polymer was done by selecting different lipid base materials like Compritol 888 ATO, Precirol ATO 5, Eudragit RSPO, Glycerly monostearate (GMS) and cetosteryl alcohol. All the batches were prepared by direct compression method. Theoretical drug release profile was carried out for dose calculation up to 24 h. All the batches were evaluated for hardness, weight variation, thickness and friability (physicochemical parameters). In-vitro drug release and FTIR study was carried out along with experimental design. From the drug release profile it was observed that Compritol 888 ATO (F1) shows batter retardant effect and Precirol ATO 5 (F2) shows effective burst release. But remaining formulations (F3-F5) were not able to release the drug as per theoretical drug release profile. After selecting lipid matrices it was optimized by 32 full factorial design by applying analysis of variance (ANOVA). Concentration of Compritol 888 ATO and Precirol ATO 5 were selected as independent factor and time require for 20% drug release (Y1) and time require for 80% drug release (Y2) were selected as response. Optimized batch showing drug release 99.45% at 24 h. With desire burst release. Pharmacokinetic study shows best fit model is Higuchi model having R2 value 0.9886. Combination of two lipid base material Compritol 888 ATO and Precirol ATO 5 shows most desire sustained release as compare to individual. INTRODUCTION: Bosentan is a non-peptide, orally active, dual endothelin receptor antagonist, is the first Endothelin Receptor Antagonists (ERA) to be used successfully in the treatment of Pulmonary Artery Hypertension (PAH) 1. Bosentan is safe and improves exercise capacity over the short term in patients with Eisenmenger’s physiology 2, 3. Bosentan have serious toxicity on liver, as during PAH treatment with Bosentan liver functional test must be carried out as it increases liver aminotransferase levels 4, 5. Dosing of Bosentan is 62.5 mg twice daily up to 4 weeks and then after 125 mg twice daily as maintenance dose so it can cause serious damage to liver. Bosentan displays dose-and time dependent pharmaco-kinetics. The absolute oral bioavailability of Bosentan in healthy adults is 50%, and is unaffected by food. Clearance decreases with increased doses and increases with time. Thus, there is a dose dependency in clearance, which seems to be of limited importance as exposure is proportional to dose in the therapeutic range after oral administration. Upon repeated administration, Bosentan induces its own metabolism resulting in a reduction of the AUC of about 35 - 50%. The objectives identified as the outputs for addressing the identified development problem and provide a means to assess performance of controlled release formulation. The development of controlled release formulations have a clinical rational as it may reduce dose and dose related side effects, improve efficacy and compliance to drug therapy. Controlled release products may be developed to reduce dose frequency, which adds to convenience of use, which in turn may facilitate compliance. Another rationale for developing controlled release preparation is smoothing the peaks of the plasma concentration curves (sustained release) in order to prevent peak concentration related adverse events. Materials: Bosentan was obtained as gift sample form Alembic Pharma Baroda, lipid base material like Compritol 888 ATO and Precirol ATO 5 was obtained from Gattefosse India Pvt., Ltd., Eudragit RSPO from S.D. fine Chemical, Glyceryl monostearate and Cetosteryl alcohol obtained from CDH Mumbai, India. Other excipients like dibasic calcium phosphate, magnesium and talc were obtained from S. D. fine chemicals. All the materials and solvents used were analytical grade. Formulation of Matrix Tablet for Trial Batch: Matrix tablet of Bosentan prepared by direct compression method in which release retardant material (Compritol 888 ATO, Precirol ATO 5, Glyceryl monostearate (GMS), Eudragit RSPO and Cetosteryl alcohol (CTA)) were thoroughly mixed with diluent Dibasic Calcium Phosphate (DCP). Talc (1% w/w) and magnesium stearate (1% w/w) were incorporated as glidant/lubricant. All the ingredients including drug were passed through sieve no 40. All the batches were formulated as per formula detailed in Table 1. The tablet weight was kept 500 mg for all the batches and was compressed using tablet punching machine. Experimental Design: Optimization of formulation parameter like concentration of lipid matrices was optimize by Design Expert 7. In order to optimize the formulation, concentration of Compritol 888 ATO (X1) and concentration of Precirol ATO 5 (X2) were chosen as independent variables Table 2. These two factors that might affect the matrix tablet formulation and three levels of each factor were selected and arranged according to a 32 full factorial experimental design 7. Time require for 20% of drug release (Y1) and time require for 80% of drug release (Y2) were selected as dependent factors. Based on the experimental design final formulation with actual amount was displayed in Table 3. According to it 9 batches were prepared by direct compression method and optimization was carried out using dependent factors. Check Point Analysis: A check point analysis was performed to confirm the role of derived polynomial equation and contour plots in predicting the responses in the preparation of Matrix tablet. Two check point values of independent variables (X1 and X2) were taken at any one point from each contour plot and theoretical values of dependent variables were calculated by substituting the values to respective polynomial equation. Matrix tablet were prepared experimentally at 2 points. Weight Variation: From the prepared batches 20 tablets were selected randomly and individually weighed in single pan electronic balance. Average weight of tablets was calculated. The uniformity of weight was determined according to I.P specification. As the tablet having weight 500 mg, as per IP not more than two of individual weights should deviate from average weight by more than 5% and none deviate more than twice that percentage 15. Diameter and Thickness: The thickness and diameter of the tablets was carried out using digital vernier calipers. Three tablets were used from each batch and results were expressed in millimetre. All tablets from individual batch have shown uniform thickness and diameter. Friability: To determine combined effect of abrasion and shock Roche friabilator apparatus were used by utilizing a plastic chamber that revolves at 25 rpm for dropping the tablets at a distance of six inches with each revolution. Drug Content: Ten tablets were weighed and taken in a mortar and crushed to make powder form. A quantity of powder weighing equivalent to 100mg of drug was taken in a 100 mL volumetric flask and pH 6.8 buffer solutions was added. The solution was filtered using membrane filter (0.45μm) and then its absorbance was measured at 269 nm using UV-Visible Spectrometer. The amount of drug present in one tablet was calculated using standard graph. In-vitro Drug Release: In-vitro dissolution study was carried out using USP Type II apparatus (Lab India) at 50 rpm. First 2 h study was carried out in 0.1 N HCl and further study was carried out in phosphate buffer pH 6.8 as dissolution medium, temperature was maintained at 37±0.5 °C. Samples were withdrawn in an appropriate time intervals from the dissolution medium and analysed by UV-Visible Spectrometer to determine the amount of Bosentan release from the matrix tablet. Drug Release Kinetic Studies: This study was perform for quantification of extent of drug release and amount of drug release. Qualitative and quantitative change may affect the drug release pattern from dosage form so kinetic of drug release was performed. The in-vitro drug release data of optimized batch was fitted into zero order kinetics, first order kinetics, Higuchi and Korsmeyer Pepass model. The rate constant obtained by using above models is apparent rate constant. Zero order model shows concentration independent drug release rate which can be obtained by plotting the graph of cumulative % drug release vs. time. First order describe concentration dependent drug release pattern which can be obtained by plotting graph of log cumulative % drug remaining vs. time. Higuchi model shows the drug release pattern by Fickian diffusion as square root of time dependent process from swell able insoluble matrix 21. For Korsmeyer Pepass model data should be plotted as log cumulative drug release vs. log time 22, 23, 24, 25. Here 60% in-vitro drug release data was fitted in to Korsmeyer Pepass model. Equation for all models. Describe as below. Hence the release rate is proportional to the reciprocal of the square root of time. For matrix tablet if exponent value n = 0.45 indicate drug release mechanism is by Fickian diffusion and if value is in the range of 0.45 < n < 0.89 indicate drug release mechanism by Non-Fickian or anomalous diffusion. If exponent value 0.89 which is indicate Case-II transport or typical zero order release 25. Stability Study: Stability study of optimized batch was performed over a period of 3 months accelerated condition (25 ± 2 ºC and 60% ± 5% RH) as per ICH guidelines QA 1(R2). After packing of tablet in aluminium strip it was stored under refrigerator condition 26 and stability study was analysed by cumulative % drug release. Test was performed for the optimized batch at the initial time, after 1st month, 2nd month and 3rd month. Drug Excipients Compatibility Studies: Bosentan alone showed –OH monomeric stretching at 3650 cm-1, –N-H stretching at 1577 cm-1 which is in the standard range 1500-1640 cm-1, S=O stretching at 1251 cm-1 which is in the standard range 1150-1300 cm-1. Spectrum of Bosentan and excipients was shown in Fig. 1. Functional group peak of Bosentan and excipients were compared with standards and from comparison we concluded that –N-H stretching of drug with Precirol ATO 5 and drug with DCP shows 1577.77 cm-1 while Drug with Compritol 888 ATO shows 1465 cm-1 which was very close to standard range. In case of S=O stretching Drug with Precirol ATO 5, Drug with DCP and Drug with Compritol 888 ATO shows 1253.73 cm-1, 1251.8 cm-1 and 1253.73 cm-1 respectively, which was again very close to standard range. There were no major changes observed into frequency, therefore, it can be concluded that procured Bosentan and excipients were in pure form. Physical Characterization of Prepared Tablets of Trial Batch: Prepared tablet was evaluated for diameter, thickness, hardness, friability, weight variation and drug content. As per data shown in Table 5, the hardness and percentage friability ranged from 3.4-4.9 kg/cm2 and 0.45-0.56% respectively. Diameter of tablets was in the range of 12.40 mm and thickness of tablets was in the range of 3.8 to 4.2 mm. Weight variation was also comply pharmacopoeial limit. In-vitro Drug Release of Trial Batch: According to Table 6. Formulation F1 shows the slowest drug release (90.63%) up to 16 h. formulation F2 shows 99.50% of drug release within 12 h and its initial drug release was quite higher than other formulation. Other formulation F3, F4 and F5 shows drug release 98.87% in 12 h, 98.87% in 10 h and 96.33% in 10 h respectively. Drug release profile shown in Fig. 2. Formulation F1 shows slowest drug release and F2 shows good initial burst effect. F2 containing Precirol ATO 5 which is responsible for initial burst effect because of their less lipophilic nature. Erosion of matrix started within 1 - 2 h and release of drug become faster. Formula F1 containing Compritol 888 ATO has more retarding effect than Precirol ATO 5 16, 17, 18, 19, 20 from drug release profile it was observed that when lipid based material used as matrices for sustained release matrix tablet they showed retardant effect on drug release but it was not still satisfactory release as target was to achieve 24 h release according to theoretical drug release profile. So now it is desirable to use combination of two polymer Compritol 888 ATO and Precirol ATO 5 because of their physic-chemical properties which impact on drug release as well as effective burst release effect. Physical Characterization of Prepared Tablets of Final Batch: Friability is a significant factor to ensure that tablet remains intact and it withstand its form from outside shock or pressure. The quantity of lipophilic material was found to have important criteria for friability and hardness. As shown in Table 7, the hardness and percentage friability ranged from 3.8 - 5.2 kg/cm2 and 0.38 - 0.70% respectively. As the amount of hydrophobic material increases hardness and friability significantly become batter, which is observed in case of formulation F6, F10 and F14. Diameter of tablets was in the range of 12.40 mm and thickness of tablets was in the range of 3.8 to 4.3 mm. Weight variation was also comply pharmacopoeial limit. Drug content was also found to be in the range of 97.3 - 99.2 %. In-vitro Drug Release of Final Batch: Drug release data of final batches shown in Table 8 and 9. From Fig. 3 it was observed that F8 shows 98.84% drug release at 24 h. its retardant effect is due to high amount of Compritol 888 ATO. Formulations F6 and F7 show highest burst release and release the drug 99.47% and 99.01% at 16 h and 20 h respectively. So it indicates that as the concentration of Compritol 888 ATO decreases its retardant effect decreases. Formulations F11-F14 shows low burst release of drug but they release the drug up to 24 h at 85.43%, 91.60%, 80.44% and 75.13% respectively. Optimization of Formulation: Optimization was performed by preparing 9 batches F6-F14 their response from in-vitro drug release data were noted which is depicted in Table 10. These data was further analysed by ANOVA. From optimization following polynomial equation was observed which give important information regarding significant effect of polymer on response. For (T20%) response Y1, The Model F-value of 12.43 implies the model is significant. Values of "Prob > F" less than 0.0500 indicate model terms are significant. In this case A, B are significant model terms. Values greater than 0.1000 indicate the model terms are not significant. If there are many insignificant model terms (not counting those required to support hierarchy), model reduction may improve your model. The “Predicted R-Squared” of 0. 9641 is in reasonable agreement with the “Adjusted R-Squared” of 0. 9521. “Adeq Precision” measures the signal to noise ratio. A ratio greater than 4 is desirable. The ratio of 9.669 indicates an adequate signal thus the proposed model can be used to navigate the design space. Compritol 888 ATO concentration and Precirol ATO 5 concentration had shown positive effect on T20%. Response surface plot for T20% is shown in Fig. 4. From the graph it can be observed that Concentration of polymer had significant effect on T20%. As increase in concentration of Compritol 888 ATO there is increases T20% which indicate retardant effect of Compritol 888 ATO on another hand as the concentration of Precirol ATO 5 increases T20% increases so combination of both give high retardant effect. Contour plots for concentration of T20% is shown in Fig. 5. From graph it was observed that from design space area any point can be taken for check point analysis here area was selected in between 1.17 to 1.39. Response surface plot for T80% is shown in Fig. 6. From the graph it can be observed that combination of polymer had significant effect on T80%. As comparing individually increase in concentration of Compritol 888 ATO there is decreases T80% which indicates retardant effect of Compritol 888 ATO on another hand as the concentration of Precirol increases T80% increases even though Precirol ATO 5 is responsible for initial burst effect, so combination of both give high retardant effect. Contour plots for T80% is shown in Fig. 7 from graph it was observed that for check point batch analysis area were selected in between 17.71 to 20.31. Check Point Analysis: A check point analysis was performed to confirm the prediction in order to validate the equation that describes the influence of the factors on the dependent variables. Two check point batches were prepared (CP1 and CP2). For preparing formulation concentration of Compritol 888 ATO was taken 0.62 and -0.43 for CP1 and CP2 respectively and concentration of Precirol ATO 5 was taken -0.33 and -0.06 for CP1 and CP2 respectively. The value was in coded form. Predicted value for T20% was 1.17 and 1.33 h respectively and for T80% 18.61 and 18.93 h respectively. Table 11 shows the actual and predicted value of independent parameters. From the observation it was noticed that the actual value for CP1 for T20% was 1.05 ± 2.7 h and for CP2 T20% was 1.26 ± 2.3 h which was very close to predicted value. Actual value of CP1 for T 80% was 17.85 ± 4.2 h and for CP2 was 18.25 ± 1.35 h which was again very close to predicted value. So, it was concluded that equation obtained from ANOVA was properly validated which was helpful to give information of influence of the factors on dependent variables. Optimization Using Desirability Function: Desirability function was utilized to optimize the best batch. After studying the effect of the independent variables on the responses, the levels of the variables that give the optimum responses were determined. The optimized batch with level of different factors, results and desirability is shown in Table 12. According to desirability 0.889 time require to release 20% of drug was 1.08 h found and time require to release 80% of drug was 18.80 h found. Optimized concentration of Compritol 888 ATO and Precirol ATO 5 was found -0.98 (coded value) and 0.48 (coded value) respectively. Formulation of optimized batch was prepared and all the parameter was carried out including in-vitro drug release study. In-vitro Drug Release of Optimized Batch: In-vitro drug release data of optimized batch was shown in Table 13. From the in-vitro dissolution data in 0.1 N HCl after 2 h was found to be 32.78% of drug release which is sufficient to produce onset of action. This effect was due to less lipophilicity of Precirol ATO 5. Fig. 8. Shows the comparison between optimized batch A1 and marketed product with theoretical drug release profile. Which indicate that marketed product Bosentas 62.5 mg shows 91% of drug release within 1 h. whereas actual drug release was identical to theoretical drug release profile. Further dissolution was carried out in pH 6.8 phosphate buffer which shows time require for 20% drug release was 1.05 h and time require for 80% of drug release was approximately 17 h which indicated retardant effect of polymer on formulation which shows drug release at 24 h 99.45%. When wax matrix tablet was prepared by combination of two waxes, it retards more release of drug than any wax substance alone. This may be due to synergistic effect which imparts more lipophilicity to matrix tablet than any wax can impart alone 16, 17, 18. Drug release Kinetic Studies: The zero order rate explain that, drug release is independent of its concentration which was illustrated in Fig. 9. From the graph of cumulative % drug release vs. time regression coefficient (R2) value 0.8769 was obtained. The first order rate describe drug release from matrix tablet was found to be concentration dependent, which is illustrated in Fig. 10. From the graph of log cumulative % drug remaining vs. time shows regression coefficient (R2) value 0.7903. Drug release from an insoluble lipid matrix was best explained by Higuchi’s model as it is square root of time dependent process which follow fickian diffusion. Fig. 11 describe Higuchi’s model, indicating cumulative % drug release vs. square root of time shows regression coefficient (R2) value 0.9886. Comparison of different models with their regression coefficient (R2) value describe in Table 14. From that comparison it was found that in-vitro drug release of Bosentan SR tablet was perfectly explained by Higuchi’s model as it shows highest linearity. Ultimately it is describe that, as the distance for diffusion increases drug diffuse at comparatively slow rate which is known as Higuchi’s kinetic. Mechanism of Drug Release: Mechanism of drug release from SR matrix tablet was explained by Korsmeyer Pepass model. Fig. 12 shows the graph of log cumulative % rug release vs. log time. This model shows the good linearity (R2 = 0.9734) with release exponent n = 0.583, which clearly describe drug release mechanism is combination of diffusion with erosion of matrix. So it is called as anomalous diffusion which indicates drug release is controlled by more than one process. Stability Studies: Stability study was performed up to three months according to ICH guide lines. Describe the drug release after 1st, 2nd and 3rd month which indicate there was no significant changes observed, as % CDR was found 98.92 ± 0.65, 99.56 ± 0.28 and 99.32 ± 0.67 respectively. So finally it was concluded that, potency of drug was not altered due to storage condition and optimized formulation was stable. CONCLUSION: Primary screening of polymer was done by selecting different lipid base materials and five batches of different lipid base materials and all parameters were evaluated. From the drug release profile of preliminary batches it was observed that Compritol 888 ATO containing batch shows batter retardant effect up to 16 h and Precirol ATO 5 shows effective burst effect. Finally it was decided that combination of two lipid base material Compritol 888 ATO and Precirol ATO 5 shows most desire sustained release as compare to individual 9. This may be due to synergistic effect which imparts more lipophilicity to matrix tablet than any wax can impart alone. One another advantage of using Compritol 888 ATO is, it has been reported to form protective barriers, thus increasing stability on storage. Other lipid is Precirol ATO 5 which has high plasticity which provide resistance to fracture, which is important and useful parameter to form a tablet using direct compression. There also been several studies reported with theses lipids in producing sustained release dosage form using direct compression method 27, 28, 29, 30, 31. After optimization by 32 full factorial design optimized formulation A1 shows 24 h sustained release 99.45 ± 0.19. Comparing dissolution model it was observed that best fit model was Higuch’s model and by Korsmeyer Pepass it was found that drug release mechanism was anomalous. From stability studies formulation observed stable. Finally it was concluded that Bosentan having convention therapy 62.5 mg twice daily cause serious damage to liver which can be overcome by preparing one a daily tablet having dose 71 mg this low dose reduce dose frequency, therefore low liver toxicity which may improve patient compliance. ACKNOWLEDGEMENT: We are thankful to Alembic Pharma Baroda for kindly supply the drug. We are also thankful to Gattefossae for kindly supply the Compritol 888 ATO and Precirol ATO 5. 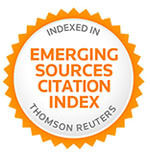 CONFLICT OF INTEREST: The authors confirm that this article content has no conflict of interest. Rysz-Górzynska M: Efficacy of statin therapy in pulmonary arterial hypertension: A systematic review and meta-analysis. Sci. 2016; 6: 30060. doi: 10.1038/srep 30060. Bonello B, Renard S, Mancini J, Hubert S and Fraisse A: Life span of patients with Eisenmenger syndrome is not superior to that of patients with other cause of pulmonary hypertension. Cardiovasc Diagn Ther. 2014; 4: 341-349. Kuang HY: The efficiency of endothelin receptor antagonist bosentan for pulmonary arterial hypertension associated with congenital heart disease: A systematic review and meta-analysis. Medicine 2018; 97(10): 75-85. Patricia N, Stephan K and Jasper D: Pharmacokinetic and pharmacodynamic evaluation of macitentan, a novel endothelin receptor antagonist for the treatment of pulmonary arterial hypertension. Expert Opinion on Drug Metabolism & Toxicology. 2015; 11(3): 437-449. Sáskaa ZS, Dredána J, Luhnb O, Balogha E, Shafira G and Antala I: Evaluation of the impact of mixing speed on the compressibility and compatibility of paracetamol-isomalt containing granules with factorial design. Powder Technology 2011; 213: 132-40. Reddy Y: Formulation and optimization of extended release matrix tablets of losartan potassium using Response Surface Methodology (RSM). 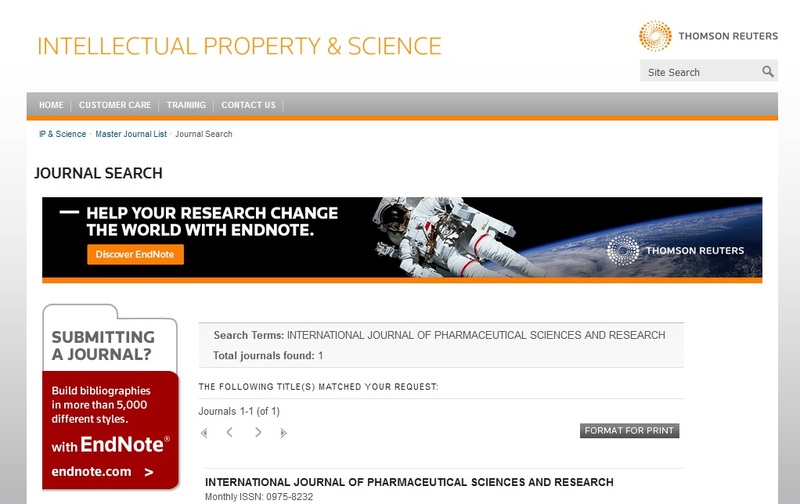 Journal of Pharmaceutical Research International. 2017; 19(5): 1-12. Mahaparale PR, Kasture PV and Deshmukh SS: Sustained release matrices of Metoprolol succinate using Compritol 888 ATO and Precirol ATO 05. J Pharm Res 2006; 5(1): 10-14. Mohammed A, Komarapalem V and Maimumna A: Formulation and in-vitro evaluation of bosentan osmatic controlled release tablets. Int. J. of Pharmacy and Analytical Research 2015; 4(4): 491-499. Ramteke KH: Mathematical Models of drug dissolution: A review Sch. Acad. J. Pharm 2014; 3(5): 388-396. Patel SS, Patel MR and Patel MJ: Formulation and evaluation of microsponge based Nicorandil sustained released tablet. J. Sci. Res. 2017; 9 (3): 285-296. Mondal N: The role of matrix tablet in drug delivery system. Int J App Pharm. 2018; 10(1): 1-6. Kumar GY, Sreekanth J and Satyavati D: Preparation and evaluation of sustained release matrix tablets of Bosentan by using wet granulation technique. Int. J. Pharm. Sci. Rev. Res. 2015; 31(2): 155-161. Pharmacopoeia of India. New Delhi: Ministry of Health and Family Welfare, Government of India, Controller of Publications 2018. Mahaparale PR and Kuchekar BS: Development and evaluation of modified release wax matrix tablet dosage form for Tramadol hydrochloride. Asian J Pharm 2015; 9: 102-6. Rosiaux Y, Jannin V, Hughes S and Marchaud D: Solid lipid excipients - matrix agents for sustained drug delivery. J Control Release. 2014; 188: 18-30. Roy H: Formulation of sustained release matrix tablets of Metformin hydrochloride by polyacrylate polymer. International Journal of Pharma Research and Health Sciences. 2015; 3(6): 900-906. Dhameliya P: Preparation and evaluation of sustained release tablet of eperisone hydrochloride by Compritol ATO 888 as a matrix forming agent. Journal of Drug Delivery and Therapeutics. 2014; 4(3): 132-137. Jeong KH: Formulation of a modified-release pregabalin tablet using hot-melt coating with glyceryl behenate. International Journal of Pharmaceutics 2015; 495(1): 1-8. Higuchi T: Mechanism of sustained action medication. Theoretical analysis of rate of release of solid drugs dispersed in solid matrices. J Pharm Sci. 1963; 52(12): 1145-1149. Shah S: Comparative study of sustained release tablet of diclofenac sodium prepared by three techniques (matrix, reservoir and osmotic pump type). World Journal Of Pharmacy And Pharmaceutical Sciences. 2017; 6(7): 2117-2133. Pavani J: Formulation development and in-vitro evaluation of sustained release matrix tablets of Tramadol hydrochloride. Innovate International Journal of Medical & Pharmaceutical Sciences 2017; 2(6): 28-38. 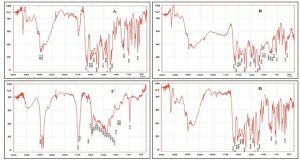 Barmpalexis P, Kachrimanis S and Malamataris S: Statistical moments in modelling of swelling, erosion and drug release of hydrophilic matrix-tablets. Int J Pharma-ceutics 2018; 540(1-2): 1-10. ICH guidelines QA 1 (R2). Kudtarkar A, Shinde U, Bharkad P and Singh K: Solid lipid nanoparticles of albendazole for treatment of Toxocara canis infection: In-vivo efficacy studies. Nanoscience and Nanotechnology-Asia. 2017; 7(1): 80-91. Roberts M, Vellucci D, Mostafa S, Miolane C and Marchaud D: Development and evaluation of sustained-release Compritol(R) 888 ATO matrix mini-tablets. Drug Dev Ind Pharm. 2012; 38(9): 1068-1076. Patere S, Desai S, Jain S, Kadam P, Thatte M and Gogtay N: Compritol(R) 888 ATO a lipid excipient for sustained release of highly water soluble active: formulation, scale-up and IVIVC study. Curr Drug Deliv. 2013; 10(5): 548-556. 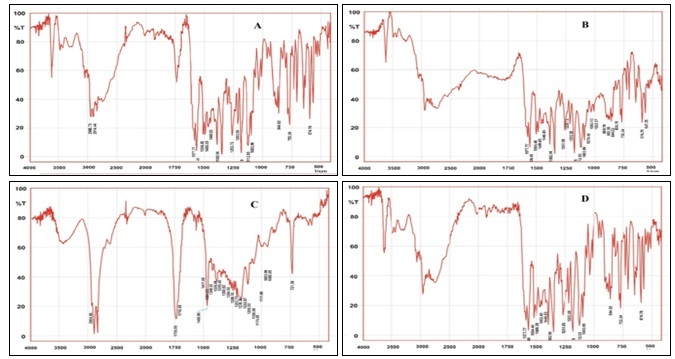 Khaled M, Khalid M and Hala M: Quality by design approach to screen the formulation and process variables influencing the characteristics of Carvedilol solid lipid nanoparticles. J. of Drug Deli. and Tech: 2018; 45: 186-76. Punyamurthula N: controlled release tablet formulation containing natural δ9 tetrahydrocannabinol. Drug Dev Ind Pharm 2016; 42(7): 1158-1164. Varia U, Prajapati B and Katariya H: Formulation and development of Bosentan loaded once a daily tablet for pulmonary artery hypertension using lipid matrices by 32 full factorial design. Int J Pharm Sci & Res 2018; 9(11): 4729-40. doi: 10.13040/IJPSR.0975-8232. 9(11).4729-40. Authors Address: Ganpat University, Ganpat Vidyanagar Mehsana-Gozaria Highway, Mehsana, Gujarat, India.